Every now and then, Orly absolutely knocks it out of the park. Peaceful Opposition is a GREAT example of just how on-trend Orly can be! 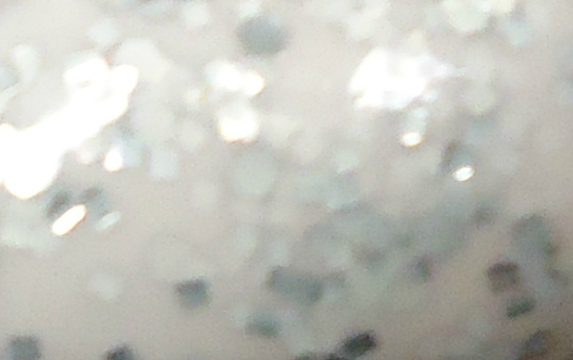 Behold: Square Glitter in a commercial polish! Polish companies fell in love with glitter a while ago, but would typically churn it out in very fine sizes, or as more of a shimmery accent to a polish. Only recently have companies begun mixing in different sizes and colors or glitter into their polishes. Indie polish makers and frankeners were the pioneers of glitter mixing. They were the first to mix different sizes of glitter, and then took it one step further by adding different shapes. Squares mostly at first, but now you can find polish with stars, moons, hearts... all sorts of shapes! In short, Peaceful Opposition is a subtle nod to all the indie brands and frankeners who dared to bottle their creativity! I painted this lovely shade right over Dandy Lyin' Around, and it did a good job of evening out the streaky mess of that manicure. 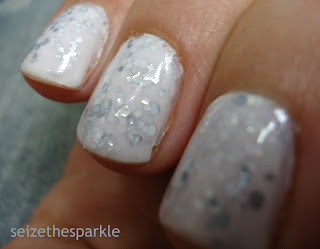 3 coats gives a good deal of depth and Dandy Lyin' Around provided a nice backdrop for the glitter. I think you'd have to layer on quite a few more coats of Peaceful Opposition if you're trying to make it to opacity from bare nails. The end result would also be quite a bit softer than the look I created. I'll definitely have to try this on its own sometime soon. And then there's Orly's new bottle design... They've nixed the O, switched out a grey cap for black, and went with a more modern font. Some say it looks cheap, I think it looks modern and clean, but I like that sort of thing! Peaceful Opposition is part of the Hope and Freedom Fest collection... Orly's Spring 2013 line. Have you picked up any Orly polishes since the re-design? What do you think?!? Hard Candy Spring 2013 UPDATE 2!